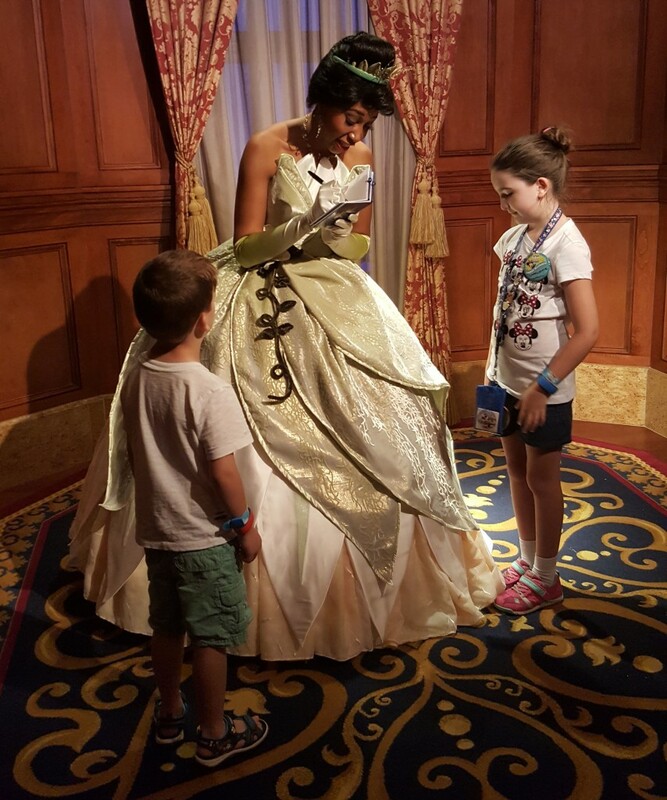 Princess Tiana is one of our family’s favorite Disney princesses. We love her southern charm and hospitality. We think she has one of the most beautiful gowns and we love the way she always sets our kids at ease. 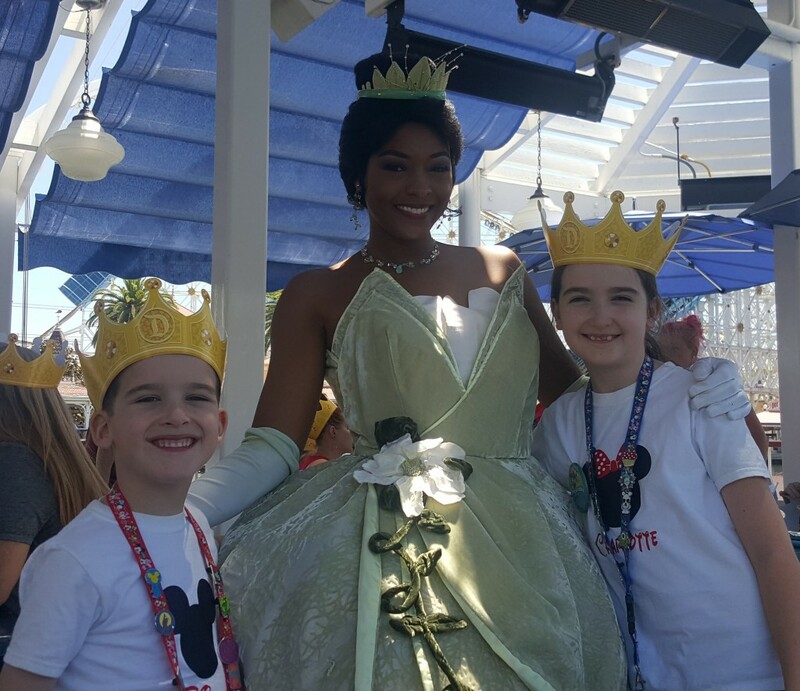 Below I will share photos from meet and greets with Princess Tiana as well as a fun Princess and the Frog themed breakfast I made. 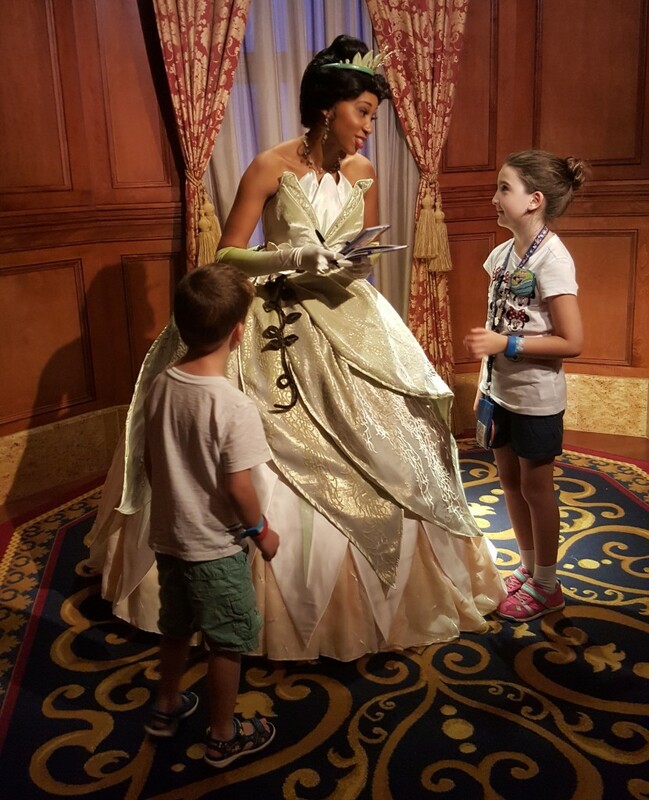 The first three photos are from the first time we met Princess Tiana. It was during our first family trip to Walt Disney World. 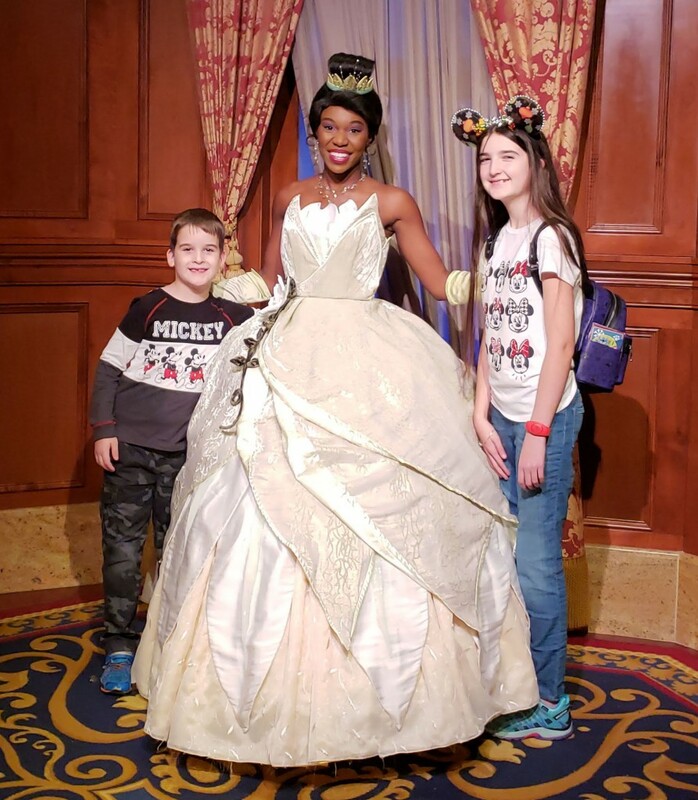 Our kids loved her dress and her accent. We liked how sweet, kind, and friendly she was. 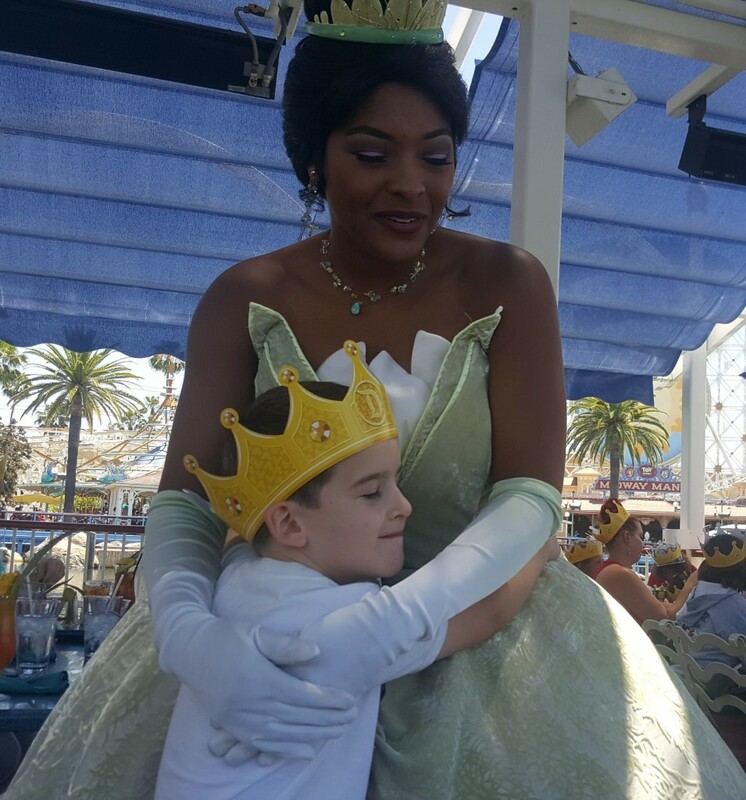 The next photos are from when we met Princess Tiana at Disney’s California Adventure during a character meal at Ariel’s Grotto. Tiana was definitely the best character at that meal. More than the others, she took time with each family, showed kindness, and handled the role of being a hostess really well. You can tell from the smiles above that our kids liked her a lot! 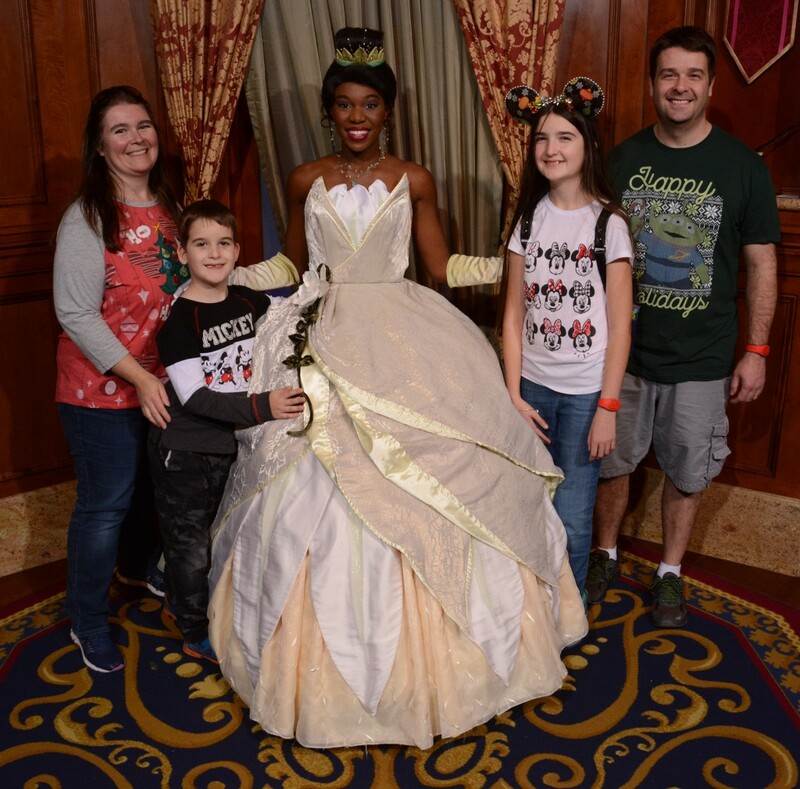 The next is from our most recent trip to Walt Disney World when we got a last minute FastPass+ to meet Tiana on Christmas Eve. 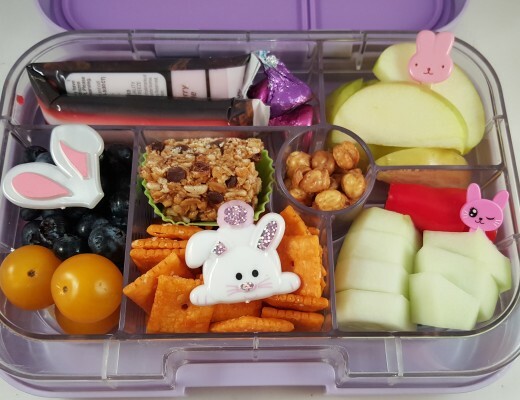 Look at how much our kids grew between that first trip up top and this recent trip! 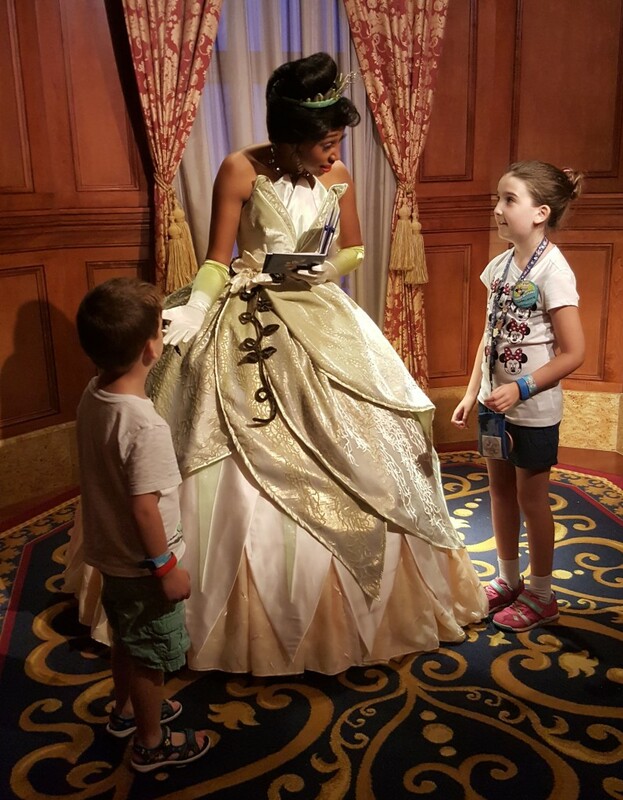 You can see from the video below how easily Princess Tiana makes conversation and how friendly she is. 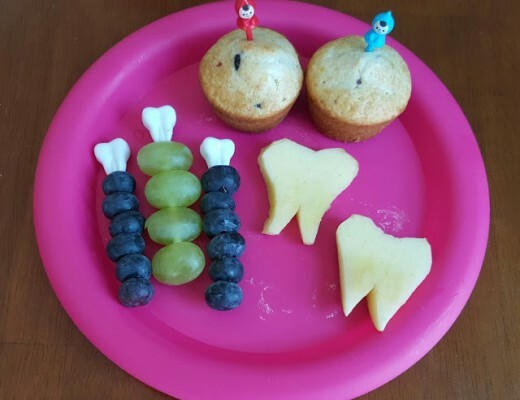 I made the Princess and the Frog themed breakfast below for my daughter. 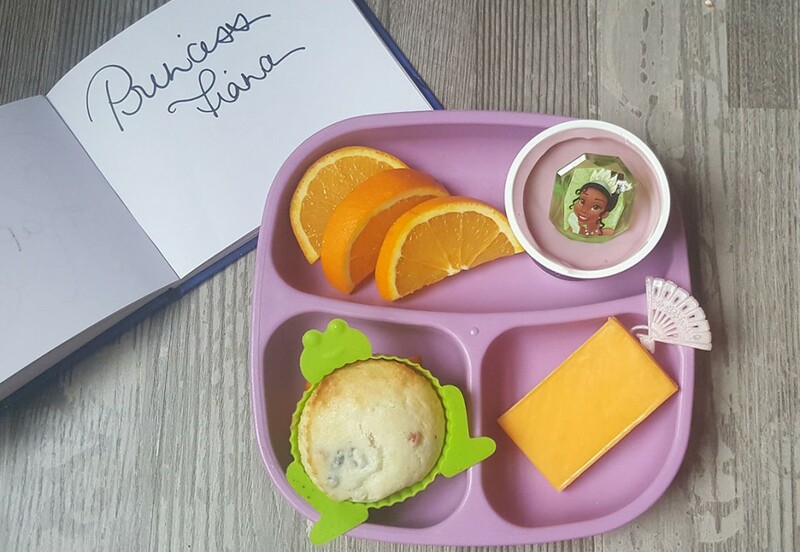 It included yogurt with a Princess Tiana ring, orange slices, a muffin baked in a frog silicone cup, and a cheddar cheese slice with a fan pick. This was served on a Re-Play Meals plate. 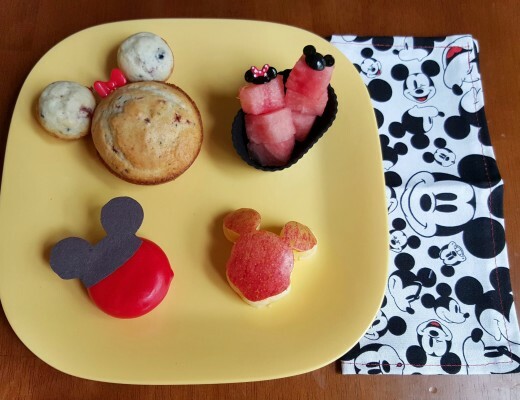 On this past trip, we stayed a few nights at Disney’s Port Orleans Riverside Resort. It is a beautiful resort and we loved our time there. One morning, we walked over to Disney’s Port Orleans French Quarter Resort, which is right next door. 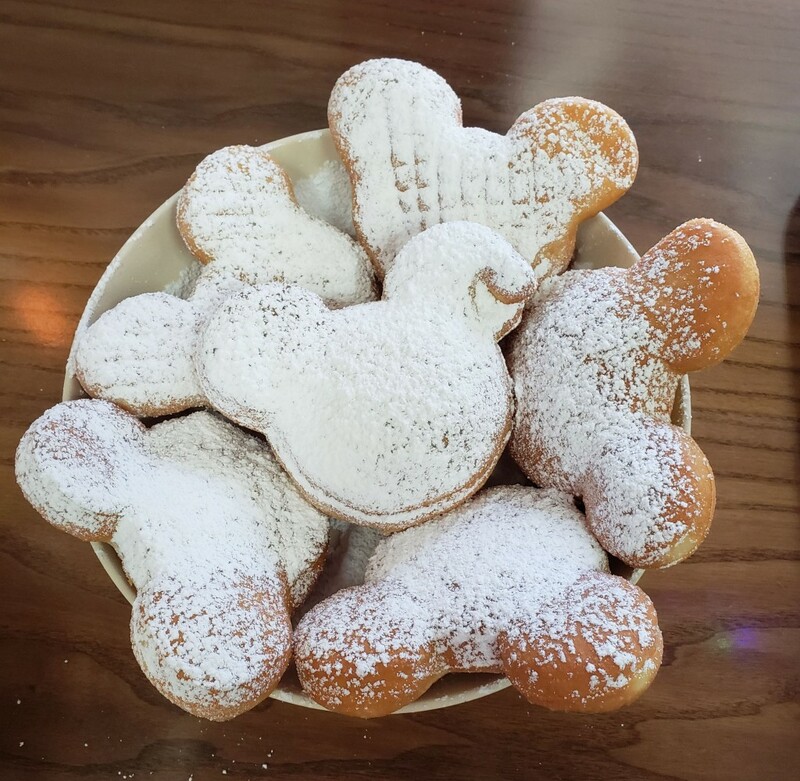 While there, we tried the Mickey shaped beignets below. 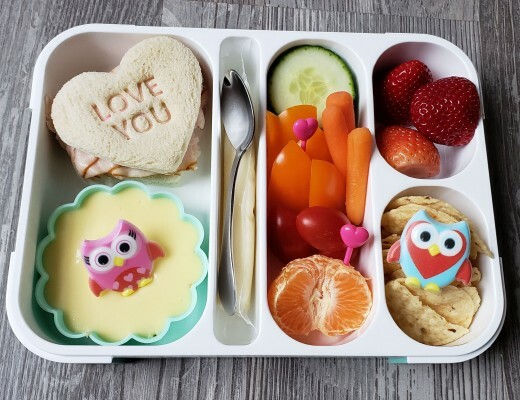 They were delicious and we would highly recommend a visit to French Quarter for these. 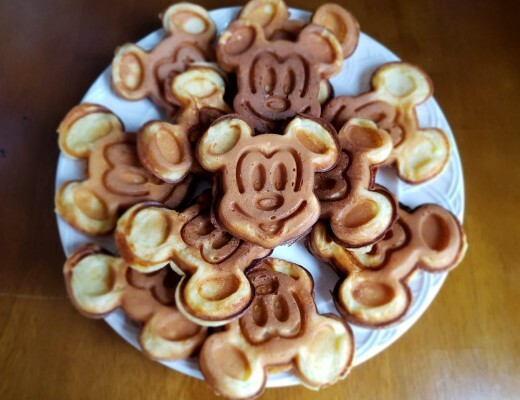 One day we hope to take a cruise on the Disney Wonder so we can go to Tiana’s Place for some more beignets. We also hope to me Dr. Facilier and Louis from Princess and the Frog some time. We searched for Dr. Facilier in Disneyland when we visited since he is a roaming character there, but we were never lucky enough to catch him. Maybe one day we will find Dr. Facilier and Louis at a special event.